- Helps support immune system health and digestive system health after periods of physical stress. 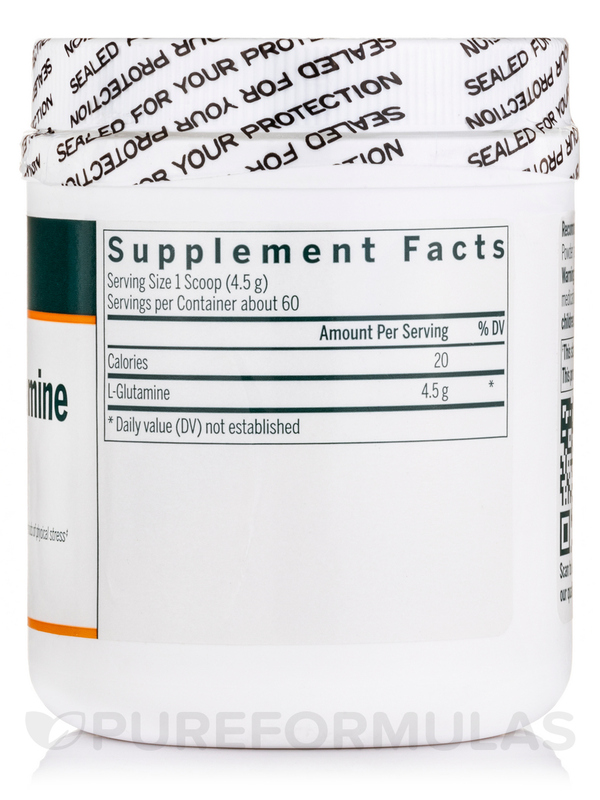 - Helps restore plasma glutamine levels depleted after periods of physical stress. 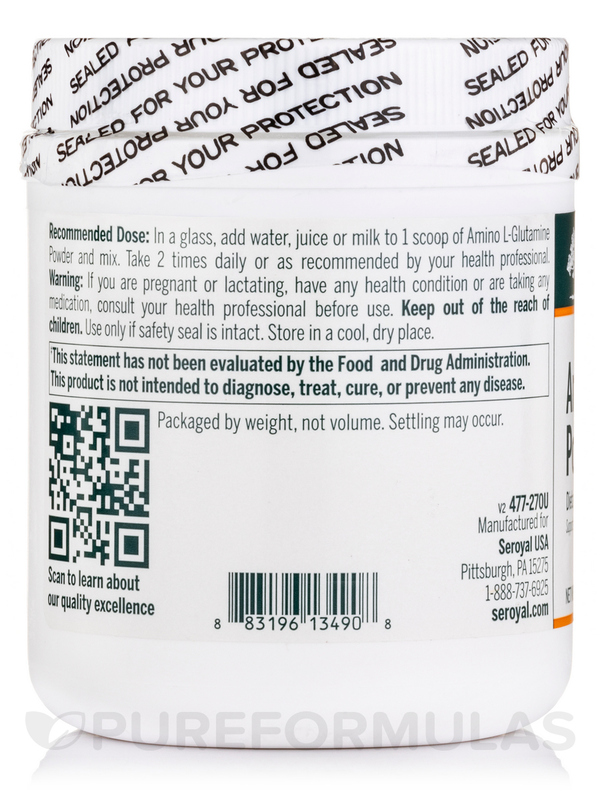 - Helps to assist in muscle cell repair after exercise. 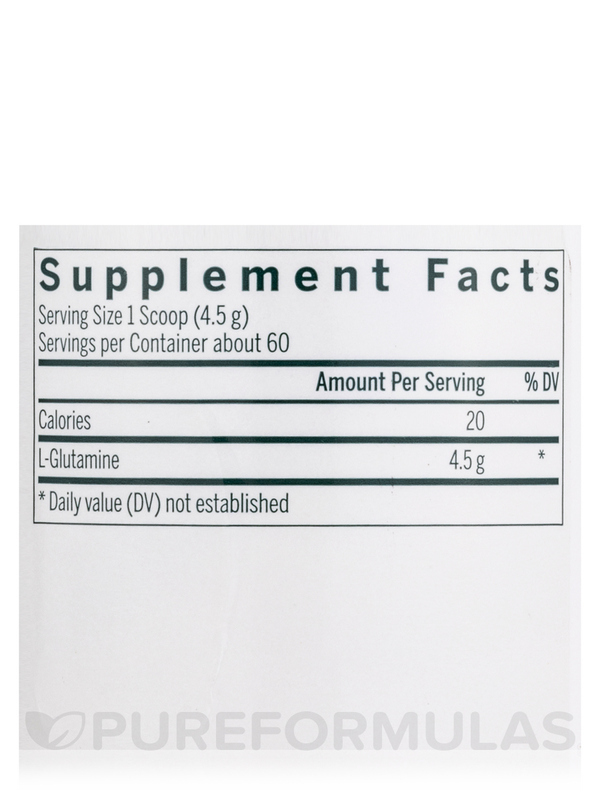 - Powder format: 4.5 Grams per serving. - Great for maintenance and therapeutic regimens. 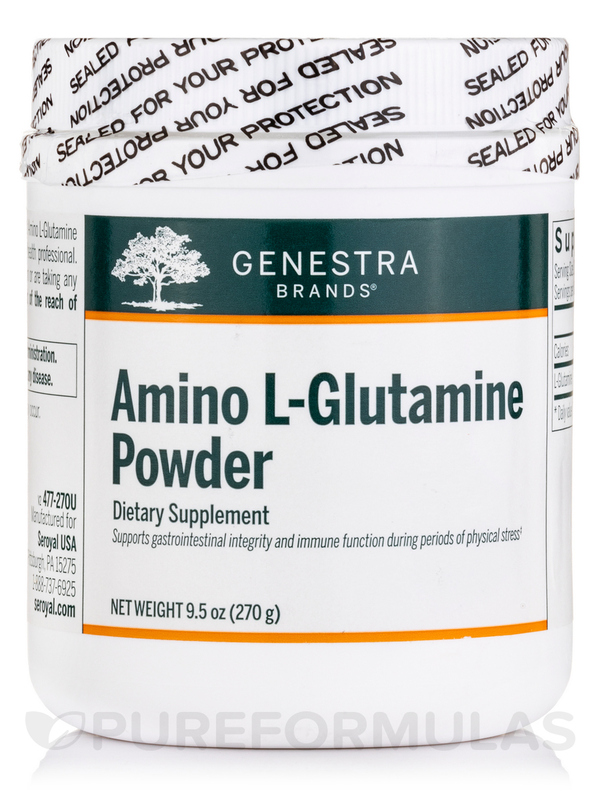 Adults: In a glass‚ add water‚ juice or milk to one scoop of Amino L-Glutamine Powder and mix. Take two times daily or as recommended by your healthcare practitioner. 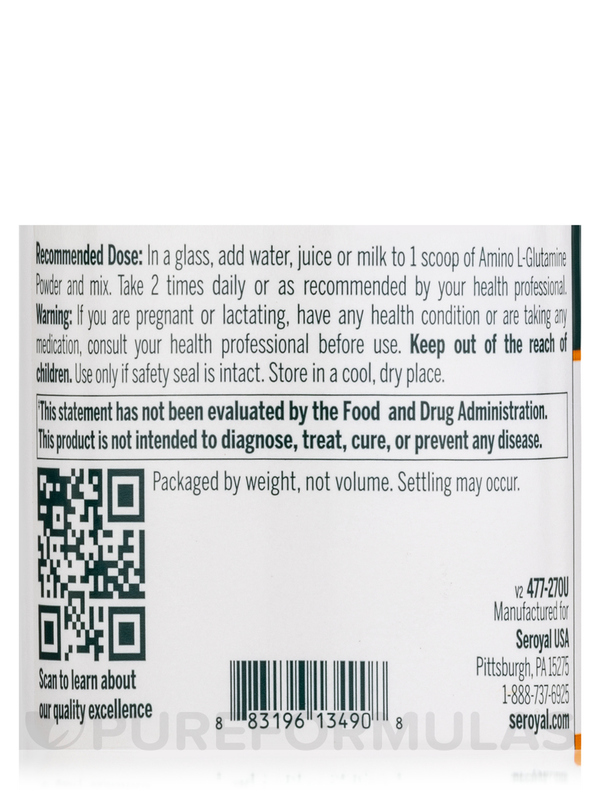 If you are pregnant or breastfeeding‚ consult your healthcare practitioner prior to use. Safety-sealed for your protection and for product freshness. Do not use if outer seal is missing or broken. Store in a cool‚ dry place.